Size: 67 inches high or Customized Size. Payment: T/T, Credit, Western Union, Money gram,Paypal. 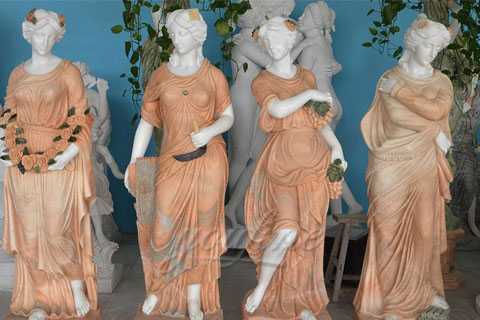 This is a new set of marble four seasons statues we have finished. Great quality carvings, the detail in the faces is also very impressive. 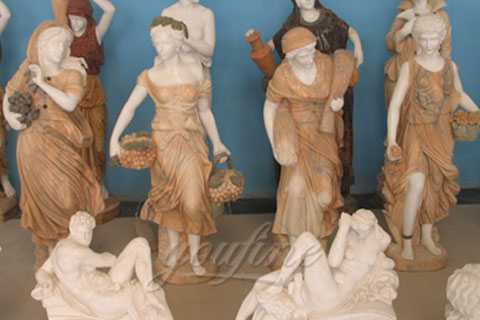 All hand carved from solid white marble. 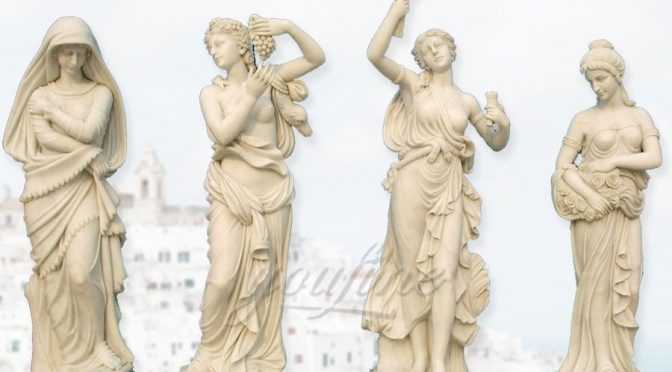 The price includes the bases that the statues are standing on. Each statue measures 78 tall. Before purchasing, please contact us for availability and shipping quote. 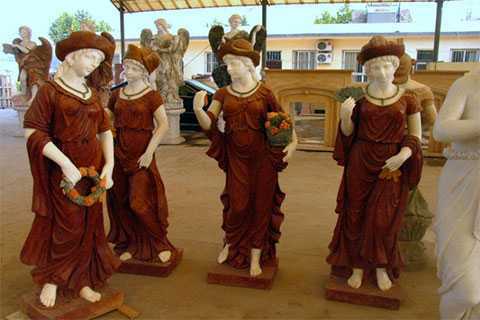 Newly finished set of marble four seasons angels. 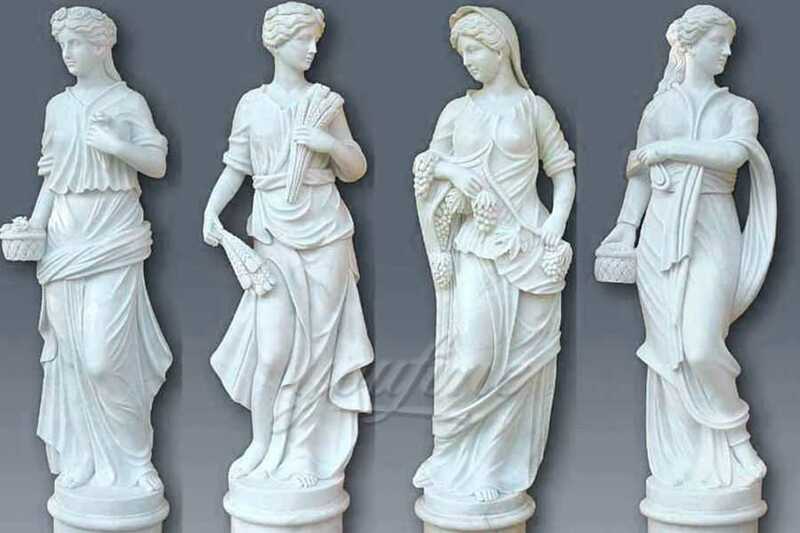 We carved this beautiful set out of jade and white marble. 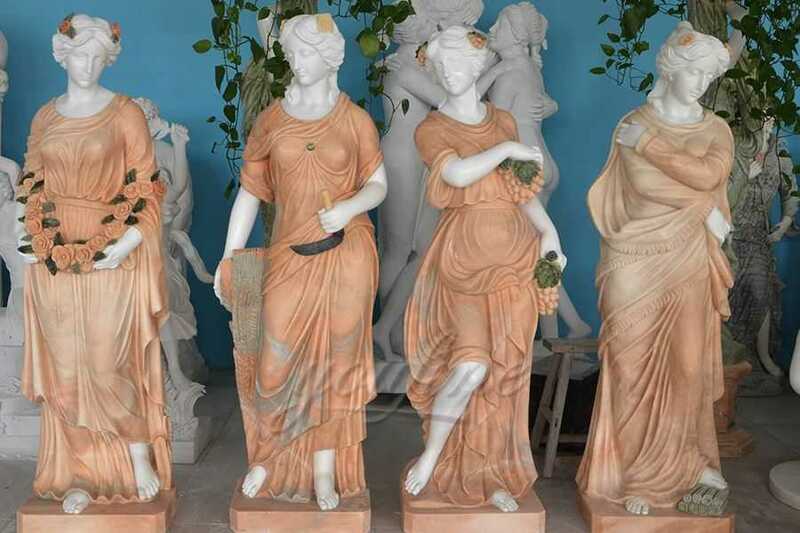 Set includes all four statues and four bases. 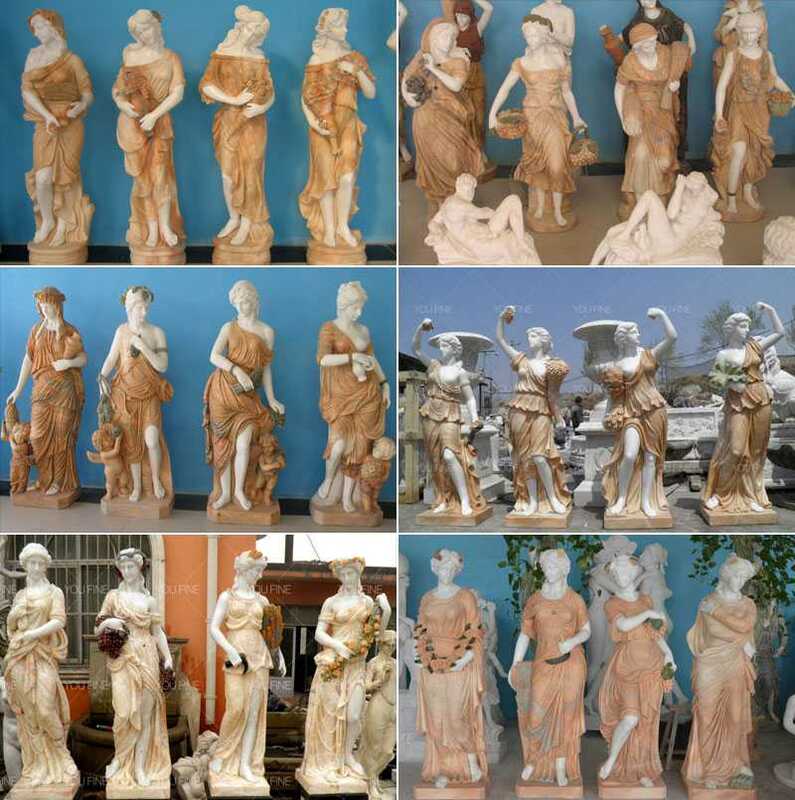 All hand carved from solid blocks of marble . We can also change the color of the dress with another color of marble. 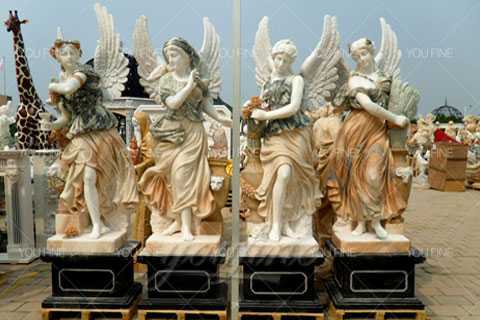 We can make Marble Four baby angel sculpture as your request. Any size,material, color are available. Customized orders welcome. Available Stones: marble, granite, travertine, limestone etc. Custom designs and dimensions are available. >E:shockproof foam to protect each carving.